These scenarios may seem a little disjointed, but they are all common signs that your brake rotors need to be checked. With brake rotor concerns, the outcome is either resurfacing or replacement. The only way to know for sure is to have one of the Factory Trained Technicians at Gregg Young Chrysler Dodge Jeep Ram of Plattsmouth inspect your braking system. Your braking system is made up of a whole relay of sensors, fluid, and parts. These parts include the caliper, brake pads and the rotor itself. In the event that the brake pads have worn so thin that the clamping mechanism of the caliper rubs against the rotor, we will know if a resurface will fix the issue. Resurfacing the rotors is often the best course of action when possible, as it is less invasive and more cost effective. Since we must remove the tires, calipers and brake pads to access to rotors, it is generally recommended to not only pair your rotor service with your routine Tire Rotation Service but to also replace the now worn brake pads. 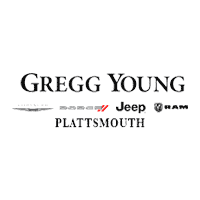 Every time you Schedule Gregg Young Chrysler Dodge Jeep Ram of Plattsmouth for your servicing needs you are choosing the peace of mind that comes with Plattsmouth’s Premier CDJR destination. Our Factory Trained Technicians use only the best OEM parts and machinery when working on your vehicle, and our coffee and beverage bar ensures that you stay comfortable while your vehicle is being worked on. We are conveniently located right off 34 and make it our mission to make sure that every step of owning your Chrysler, Dodge, Jeep or Ram is as easy, fun and hassle-free as possible!